Something happened this week , something hit me like a ton of bricks and made me think. There is a person in ROAVR who is key to everything we do. That person is Jill, she man’s the phones, grabs me a sneaky coffee and keeps the cogs turning. Jill has been with me since I started the three months on Transformers in 2016. The trouble is, I lost her in January. James is my youngest Son. I love him to bits, of course I do. But I seem to have created a mini version of me to argue with whenever I want! There we were, in my bed in our old tumbledown Highlands' home, watching the deer graze the neeps in the field when it started. That awful bloody Baby Shark song! March! How the heck did that happen ? It’s been a busier start to the year than expected so far. The snow hasn’t come to much, in fact its been unseasonably mild. What that means for us is beautiful crisp clear filming days… result! Leading consultancies join forces to bring specialist drone services to the environmental management market. 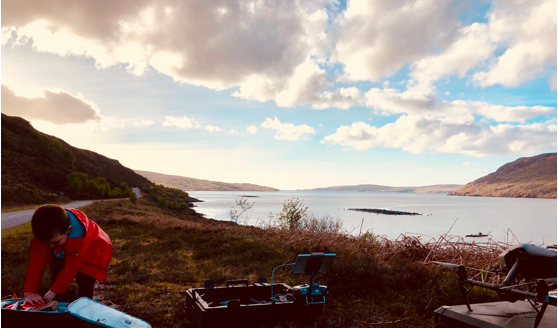 (December 4, 2018) — Nevis Environmental provides survey services and specialist management of environmental issues across a project lifecycle from its offices in the Highlands and North of England. They were delighted to sign a memorandum of understanding with ROAVR – an aerial data provider to form a partnership to market the use of drones in environmental and ecological surveys and monitoring for a wide variety of clients. ‘Unmanned - A Drone Story’ UK release of the much anticipated expose on the UK Drone Industry. Sunday Ramble - James knows best. I’m just north of Inverness. It's minus 6c outside and even colder inside, because the heater was broken. I’ve spent the last 3-hours of my life hunting for the perfect location for this evenings shoot. The funny thing is though, ten minutes before, my youngest son James told me we had already found it. Obviously, because I’m a man, I ignored him, he’s four! So here we were, sunset was fast approaching and ‘Daddy knows best…’. Turns out I was wrong though. I’d broken my own rule, the one that says we are a team and a Chinese parliament is key to success. So I found myself returning to the best spot to shoot this sunset for a client. Returning to the spot on the advice of a four year old. The spot we’d spent 30 minutes exploring earlier in the evening when we had ‘plenty of time’. And boy did he let me know it! He’s a smart cookie that James. We got the shot, no, we NAILED the shot. But better still we had some great Father and Son time at a beautiful location on the West Coast of Scotland. iI’s not always was easy to find the ideal location for your shoot my friend, but ROAVR 100% guarantee we can help. Help you scout, help you plan, help you travel and more importantly GET THAT SHOT! I can’t promise James will be available for location scouting though! Man vs Mountain 2018: Team Easy Charity Project. Team Easy, Inspired by Easy Company from WW2, a band of misfits that became one of the most distinguished regiments in WW2. Here going the extra mile for help for heroes. We are often asked by other contractors what our most useful piece of equipment is. So whilst Matt was editing our 2017 creative Showreel I asked him! Human Factors is about understanding human behavior and performance. When applied to aviation operations, Human Factors knowledge is used to optimize the fit between people and the systems in which they work in order to improve safety and performance. ROAVR provide consultancy advise for the installation of safe systems of works, Operational Safety Cases and environmental policy. ROAVR are chosen for Field Centre promotional video. 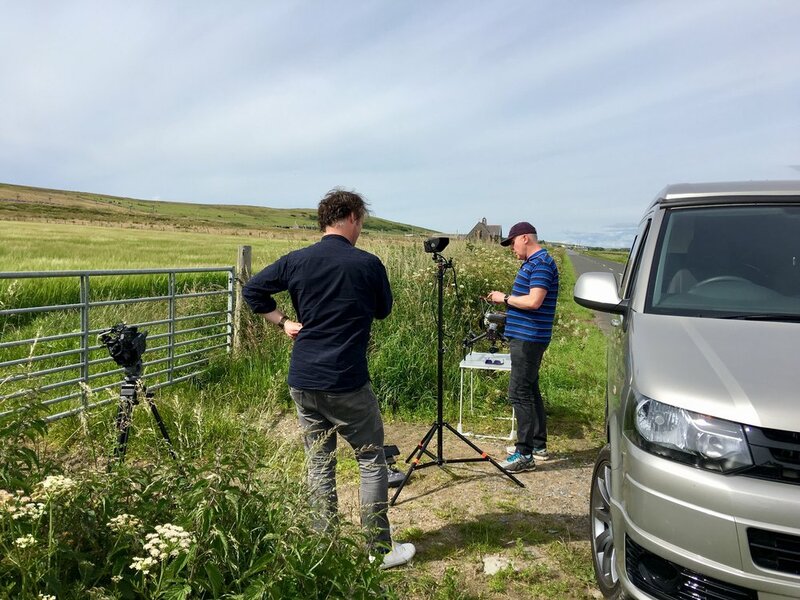 Back in July ROAVR were approached to provide aerials for a new promotional video for Aigas Field Studies Centre near Beauly. As the leading digital media supplier based in the Highland Capital City of Inverness we were only to happy to be involved. DJI Inspire 2 - a production guide. A guide to the DJI Inspire 2 for producers, cameramen and DOP's.